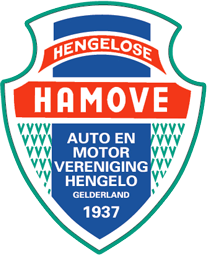 Become a member of Hamove Hengelo (Gld). You can become a member of HAMOVE by completing the below form. When you select a specific interest regarding HAMOVE, we will forward your email address to the relevant comittee. They are then able to inform you on specifics regarding planned activities. After completing, the membership secretary wil send you a form where you can select the way you like to pay your membership fee. We prefer that member select direct debit to pay their membership fee. After receipt of the form, please sign the form and return it to the address as mentioned. The membership fee is 25 euro a year.